A debut collection of seventeen short stories from Oscar-winning actor Tom Hanks. Hanks proves his bona fides as a serious scribe, producing a collection of 17 short stories so accomplished and delightful he can rest assured he has a great fallback plan should that acting thing, you know, not work out ... Good acting is about good storytelling, so maybe it shouldn’t be a surprise that Hanks can dream up a multitude of characters and worlds for them to inhabit. 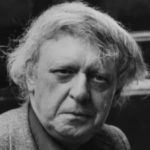 Like any great actor or writer, he brings a panorama of emotion to these tales, from humor to poignancy and a lot in between ... So yeah, some of these tales are pretty retro and some of the references date Hanks, who is 61 ('Rat Packesque,' 'Abbott and Costello'). Some of the kids in the contemporary stories talk like it’s the 1950s. These are quibbles, though ... Hanks does what all the best story writers do: He packs a punch, a pow, a wow. 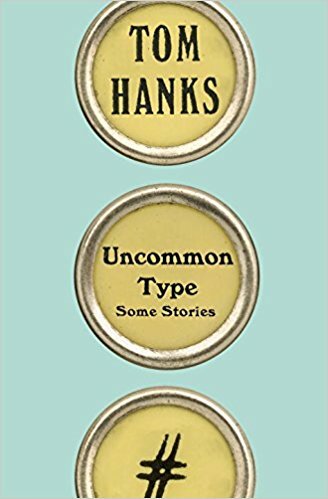 While all of the 17 stories in Uncommon Type feature a different antique manual typewriter (Hanks is an avid collector), they are linked by something greater than typewriter ribbons: a decidedly benign, humane view of people and their foibles ... Some of the stories are whimsical, some funny, some downright sentimental. Even when Hanks writes about somber subjects like the durable distress of combat or the high stakes for immigrants fleeing persecution, he finds a sweet spot ... Is this great literature? No — it's too generic and mawkish. But Uncommon Type offers heartfelt charm along with nostalgia for sweeter, simpler times — even if they never really were quite so sweet or simple. It’s true that the bulk of these seventeen—seventeen!—stories sound like Tom Hanks movies. Or rather, they are stories that could have been written by an alien whose only exposure to the planet earth is through Tom Hanks movies ... in four hundred pages, there’s hardly even a hint of conflict or a suggestion that American life is anything less than a holiday where everyone rides Schwinn bikes, leaves the immigration office to go bowling, and has a dog named Biscuit. If there’s anything good to observe about Uncommon Type, it’s that Hanks may have accidently revived a long-lost literary form: the idyll, as practiced by Goethe, placid and innocuous pastorals that invoke ornate symbolism ... The impregnable constellation we call 'Tom Hanks,' with its observations on what life is like a box of, can give no real offense, can do us no lasting harm. But Uncommon Type is pushing it, man, a collection of clichés that only deserves clichés in return. What did you think of Uncommon Type?